Contracts for difference are a great flexible trading instrument but require well-honed techniques. 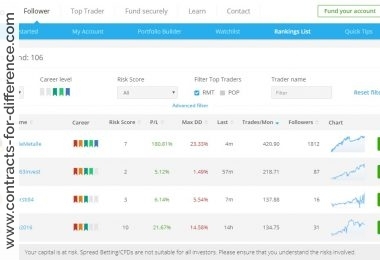 If you have reasonable CFD trading skills and a good trading system coupled with prudent money management, then it is undeniable that there are fantastic monies to be made from trading. Trading is simple, but it isn’t easy. 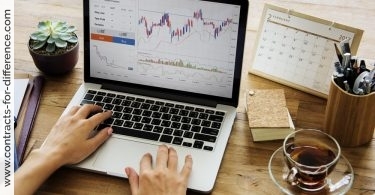 Understand what CFD trading is about and the similarities and differences between directly trading the underlying instrument and its CFD trading counterpart. This is important to help you grow and protect your monies as while some of these differences can be a plus, others can drain your bottom line if due care is not taken. Only open a CFD trading account and start trading once you fully understand the concept and all the risks involved. Definitely trade using real cash. The emotions of trading are clearly so important to profitable results that demo trading doesn’t replicate a key determinate. 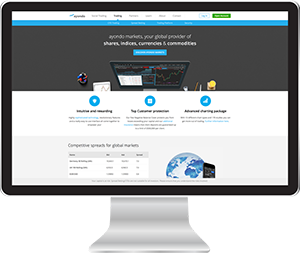 Use a demo account only to familiarise yourself with the trading platform. Do, however try to make the learning curve as cheap as possible, and it helps here to trade in small sizes in the beginning. No matter how experienced you are with other margin products, start very small with CFD positions so that you don’t encounter nasty surprises. Don’t put your entire life savings into an online trading account. Leveraged trading shouldn’t make up the majority of your investment portfolio and definitely shouldn’t be done using money that you need to live on. Specialise in just a few markets. It might be tempting to start trading in many diverse areas as a way of increasing gains but this strategy in reality actually reduces your chances for success. CFD trading requires careful analysis and focused planning so it makes sense to limit your trades to a few markets when starting out as this allows you to gain experience while you work out an appropriate system. Know your risk-reward ratios, and make sure they are set in stone. When trading your aim is always to maximise returns while reducing risk; in particular seek short-term trading opportunities where the potential reward exceeds the possible risk by say 3:1. Stop-losses and limit orders are important tools to help you achieve this. Understand the basics of trading such as never trade against the trend, limit losses by using stop orders and lock in gains with sliding stops. Remember everyone starts trading CFDs with the intention to make money but a large percentage of traders (up to 80%) end up as net losers. What are the mistakes that these traders are making, and how can you avoid them? What is it that the 20% of CFD traders are doing to make them successful? Learning from your mistakes and sticking to a plan can go a long way here. If starting out, ideally you should find a trader you can run your thoughts by. Have a mentor if at all possible. Whatever you do make sure you are able to be in front of your computer with minimal distractions. Have a good understanding of the workings of the markets in general. Understand, not only the market you are trading in, but be aware of all the products that you can trade upon if needed. Don’t place trades on hunches. You should only place a CFD trade after you are reasonably convinced after doing your own research. The only judgement you can trust 100% is your own. Best advice I can give you is develop a trading system and take the emotion out of the trade. Once you have that mindset, you will feel a lot better and more relaxed. In my experience I can say that to be a good trader you need to have a program or rules in place before you even start. Whether you are an investor or a trader, the important rule that you must be aware at all times is that you should never enter a trade without knowing when and where you are going to get out. You should NEVER trade in ‘FEAR’…either trade very small…or have a massive capital. Trading full-time is harder than it looks and my decision to go full time placed me in fear which is a mistake. I recall that in the past it was somewhat easier when I took a view, took a position, set stops/limits and went out to work. Quite a fair number of times I was right and made profit. I was not around to see every twist and turn. I would check it a few times a day. Moderate leverage plus scaling in and out of trades is my secret of good career trading. Covering orders are always in place in the event of any surprises. Be adaptive – some of the best traders I have seen are able to switch rapidly between bullish and bearish trends. If you buy breakouts, be aware that professional traders are probably the ones selling the stock to you! If you’re unsure about a CFD trade and find you’re hesitating, stay on the sidelines. If you make 3 losing trades in a day, walk away – Lack of Confidence. If you make more than your Daily target, walk away – Over Confident. Do not panic and don’t buy or sell on emotion; that’s why you need a trading plan. Don’t limit yourself just to holding intraday positions. You can trade CFDs for periods of longer than a a few days if you so want; in fact you can run trades for weeks/months/years! For me, CFD trading is the right medium for trades of up to 6 months down to a few hours. Yes, you can make money trading but don’t expect to start making money as soon as you start; you need to plan for at least three years. And understand that most of your profit/loss will still have a large element of luck in it. Don’t be greedy. Don’t expect it to be easy or consistent – if it was easy, everyone would be rich. But whatever you do, if you genuinely have the belief that you are happy to lose big sums of money when you start out then don’t do it at all. Putting in substantial monies on an account just to test it all out is silly. 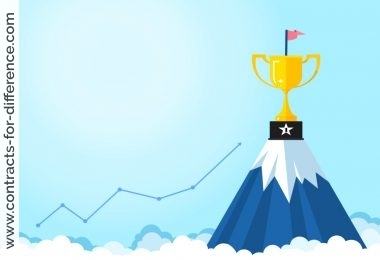 Factoring in a defeat before you have begun is not a winners strategy and I’m sure you wouldn’t entertain it in any of your business dealings so you’ll understand why it is a sign of catastrophe in the markets. Lastly only trade with money you can afford to lose, or money you will not need at short notice. And don’t forget to keep an eye on any tax liability. 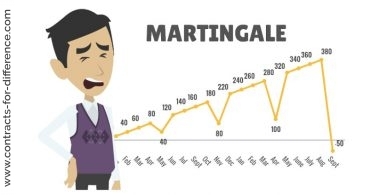 Why Martingale is a Losing System?